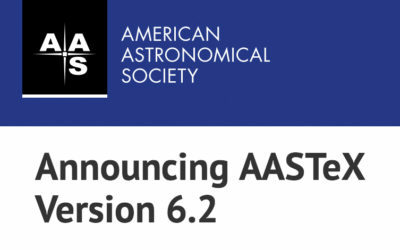 Editor’s note: This week we’re in Boulder, Colorado at the 47th meeting of the AAS Solar Physics Division (SPD). Follow along to catch some of the latest news from the field of solar physics! The 2016 SPD meeting was launched this morning from the University of Colorado Boulder campus. Two of the hot topics at this year’s meeting include celebration of the recent move of the National Solar Observatory’s headquarters to Boulder, and discussion of the future Daniel K. Inouye Solar Telescope (DKIST, formerly the Advanced Technology Solar Telescope, ATST). DKIST, planned for a 2019 completion in Hawaii, is the next big telescope on the horizon for solar physics. Today’s press conference had an interesting focus: instruments providing new high-energy observations of the Sun. Representatives from four different instruments were here to talk about some of the latest X-ray solar observations. First up, Albert Shih (NASA Goddard) described the Gamma-Ray Imager/Polarimeter for Solar flares, or GRIPS. GRIPS is a balloon-borne instrument designed to detect X-rays and gamma rays emitted during solar flares. Up to tens of a percent of the energy in solar flares is emitted in the form of accelerated particles, but the physics behind this process is not well understood. GRIPS observes where the highest-energy particles are accelerated, in an effort to learn more about the process. GRIPS was launched on 19 January, 2016 and flew for roughly 12 days — gathering ~1 million seconds of data! The logistics of this instrument’s flight are especially interesting, since it was launched from Antarctica and carried by a balloon at a whopping elevation of 130,000 ft (to get high enough that the atmosphere doesn’t absorb all the photons GRIPS is trying to observe). Though the data from the mission has been retrieved, the bulk of the hardware remains where it landed at the end of January. It must wait for the warmer Antarctic weather in December before a team will be able to reach the instrument and recover it! Over the 12 days it flew, GRIPS observed 21 small, C-class solar flares. Data analysis is currently underway, and the team hopes that these observations will help improve our understanding of the processes underlying these solar flares. Next, Camilo Buitrago-Casas (UC Berkeley) introduced us to the Focusing Optics X-ray Solar Imager (FOXSI) sounding rocket. More than anything, FOXSI is a test of new instrumentation that may be key to future observations of the Sun in hard X-rays. FOXSI is a focusing telescope — something that is significantly more difficult to do with hard X-rays than it is with optical telescopes. Hard X-rays are difficult to bounce off of mirrors since, due to their high energy, they simply pass through the mirrors! The trick is to capture the X-rays at a grazing angle, sending them through a series of nested mirrors that progressively focus the light. Due to this process and new-technology detectors, FOXSI is able to produce very high-quality, low-noise images of some of the hottest solar sources in fine detail. FOXSI has now flown twice, with a third flight planned for 2018. Each flight gains about five minutes of data while the sounding rocket is above the Earth’s atmosphere in its parabolic trajectory. While this instrument has already produced a wealth of data about tiny solar flares, the ultimate goal is to get FOXSI’s technology on a space-based observatory, allowing for dedicated and longer observations of solar flares. Next, Lindsay Glesener (University of Minnesota) spoke about the Nuclear Spectroscopic Telescope Array (NuSTAR) space telescope, which actually has this opportunity for long solar observations — except that it’s a little busy. NuSTAR was primarily designed to look at faint sources in the distant universe. But a few times a year, it takes a few hours to look closer to home, turning to point at the Sun. Due to NuSTAR’s extreme sensitivity, there are obviously some challenges in pointing it directly at a nearby, high-intensity source! Large solar flares would completely swamp the telescope’s detectors, but in quiet conditions, NuSTAR is an excellent tool for detecting faint sources. As a result, NuSTAR recently detected the smallest, faintest X-ray flare ever imaged at high energies. Tiny flares such as this one are very different from the enormous eruptions we’re used to seeing in solar images; these small flares would go unnoticed by a less sensitive instrument. They’re interesting to study, however, because they might provide the solution to the “coronal heating problem” — the question of how the enormous temperature of the solar corona is sustained. It’s thought that continuous eruption of small solar flares could potentially provide the heating necessary to explain the corona’s temperature. The last speaker of the press conference was Amir Caspi (Southwest Research Institute), who told us about the Miniature X-ray Solar Spectrometer, or MinXSS. MinXSS is a NASA-funded CubeSat — a small but full-feature satellite roughly the size of a loaf of bread. It was deployed from the International Space Station just two weeks ago (16 May), and saw its first light last night (30 May)! MinXSS will detect soft X-rays from the Sun, with the goal of gaining a better understanding solar flares, nanoflares, and how these impact the Earth. When solar X-rays are absorbed by the Earth’s upper atmosphere, the atmosphere heats up — with photons of different energies causing heating in different atmospheric layers. Understanding this interaction is important for making predictions about how communications signals traveling through the Earth’s ionosphere might be affected. MinXSS’s mission is roughly 6-12 months long, with a second mission planned after the conclusion of the current one. The team is looking forward to MinXSS’s entry into science mode in a few days time, and the data that will hopefully follow! You can keep up with the latest news from MinXSS on facebook and twitter.